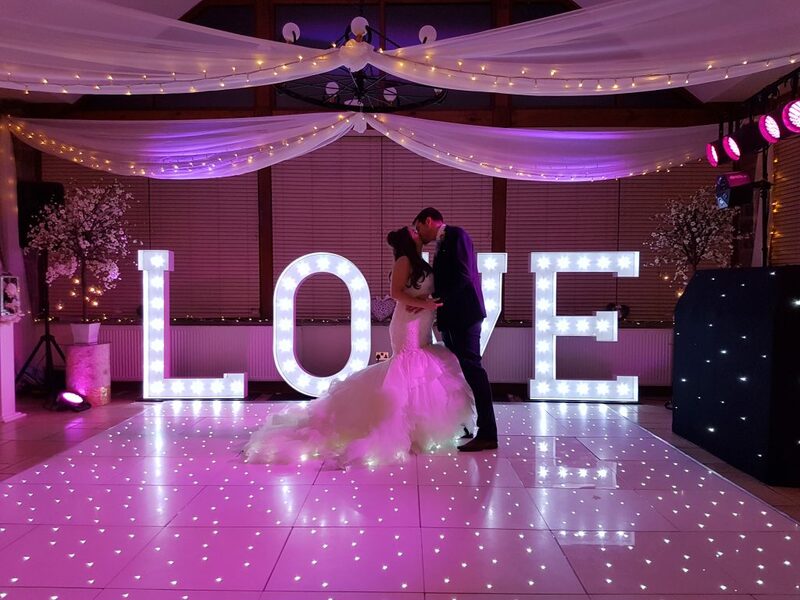 Andy B Events are proud to be the recommended supplier of choice for DJs, dance floor hire, casino tables, live music, entertainment & much more at the fabulous Beeston Manor! 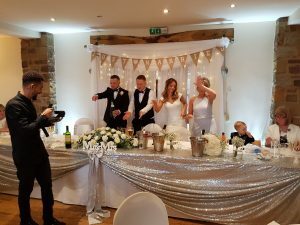 We enjoy a great working relationship with Beeston Manor & it’s many clients celebrating their special occasion at this fantastic wedding venue! It’s great to know that the owners & staff completely trust us to do our best for their clients. We hired Andy last month on 20th Oct at Beeston Manor for our evening Reception DJ and the Casino tables. We really could not fault him. The night was fabulous and I don’t think there was ever a time in the night when no one was on the dance floor. & lots of party fun in between! My standard mobile rig consists of a top quality sound system (perfect for up to 100 guests), a selection of modern lighting effects plus my star booth. See http://andybevents.co.uk/blog/2011/01/andy-b-dj/ for more details including any lighting/extras which you can add on (especially for larger parties). 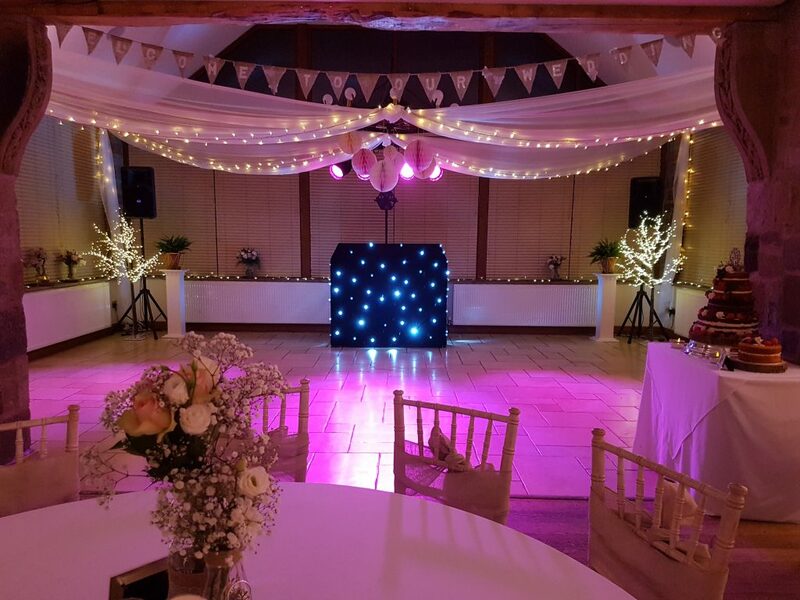 As well as the disco, our DJs also act as the host for the evening as required – introducing for example, the first dance etc. Dress code for a wedding is normally suit & tie as appropriate the occasion. We’re there all night & will fit in with how you want your evening to run. But if you do want any suggestions for timings etc, we’re more than happy to have a chat with you about it. 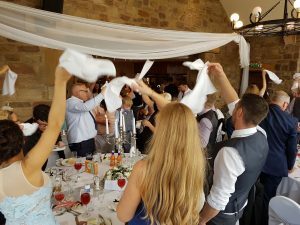 The evening receptions at Beeston Manor usually run from 7pm till 12.30am, which we charge £295 for this, based on arriving at approx. 6pm to set up with the standard rig. For any additional time we charge £40 per hour. This could include covering your wedding breakfast (& even the ceremony/drinks). For example, if you need the DJ set up by 3pm, that’s an extra £160. For this, we’ll will play suitable background music throughout (perhaps ramping it up a bit between courses if you like to help create a party atmosphere), act as host for the speeches etc & of course, introduce you into the room. Fun during the wedding breakfast! Andy is a brilliant DJ! He had the dancefloor filled which is what we wanted because the music he played was so good. From booking him to the night do, Andy was amazing and so helpful with everything. I would definitely recommend Andy for any event. Thank you for a great night. We just wanted to thank you for all you did for us on our wedding day, our guests (and us!) thoroughly enjoyed the casino tables and your DJ skills – we had a great evening and a lot of that was down to you and your company! Huge thanks for being our DJ on Thursday on what was the hottest day of the year! Phew! You did a cracking job and my guests had a fab time. 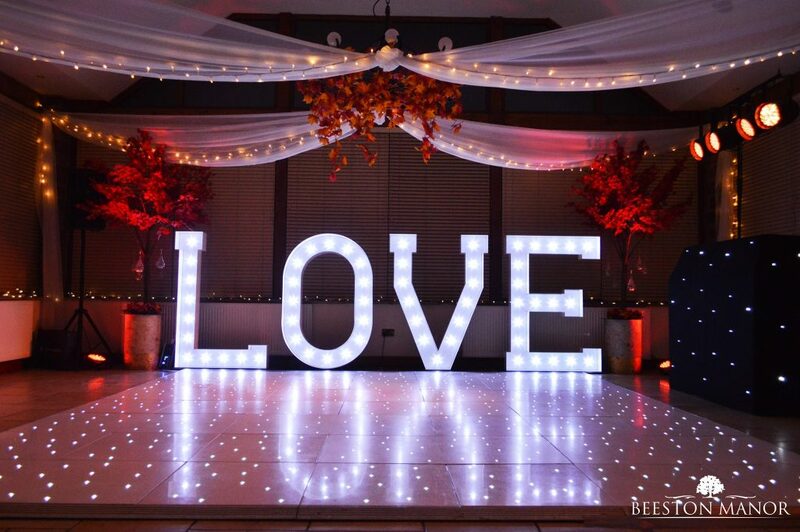 The twinkling LED dance floor was also a huge hit! Somehow you managed to entice my guests out of that glorious sunshine to come inside and dance. I would just like to say a big thank you for hosting our event Sunday…. it was a fantastic day…. and we didn’t get the chance to thank you on the day, so Thank you! Everyone got up at some stage and enjoyed the Dancefloor! Would highly recommend your services!